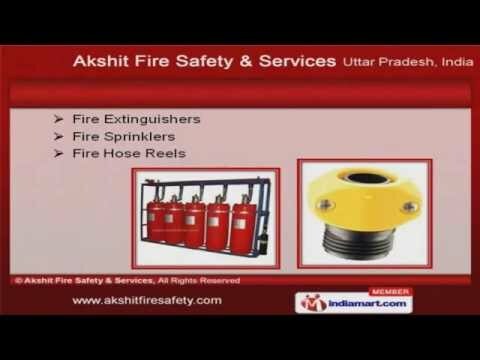 Welcome to Akshit Fire Safety and Services, Supplier of Fire Fighting Systems. The company was incepted in 2000, at Ghaziabad. Proficient and innovative professionals make us unique in the industry. Quality measures and testing facilities help us to serve Clients like Steel Authority of India Limited and Gaursons India Limited. We offer a splendid range of Fire Safety Equipments, P V C Hoses and Water Stoppers. Our Fire Extinguishers, Sprinklers and Hose Reels are widely acclaimed in the market. We are one of the large manufacturers and exporters of Rubber Hoses and Branch Pipes. Hydrant Valves, Steel Shots and Grits offered by us are acknowledged for their functionality. We also provide Smoke Detectors and Concrete Vibrators that are a class apart. Our C C T V Camera and Fire Alarm Systems are superior in performance.